When doing construction work, you would need to have a systematic way of asking for payment for your clients. This is done through the use of an invoice. 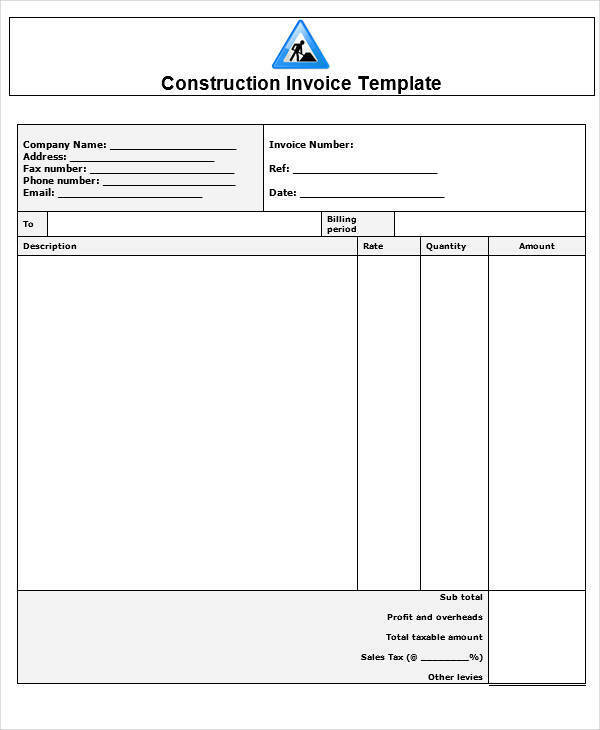 A construction invoice is very much like a sales invoice. Only, while a sales invoice is done for the goods delivered, a construction invoice is issued for work or services done. A construction invoice done right assures the liquid flow of finances in your construction company. They make asking for payment much easier. 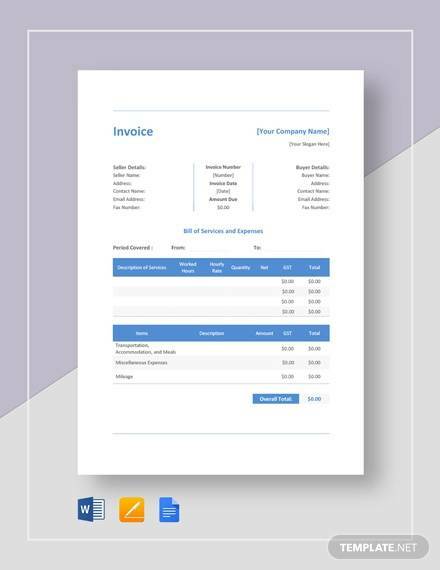 Aside from this, there are different uses of invoice that make them vital documents for any organization. Invoices and purchase orders are quite similar documents that people often confuse one over the other. 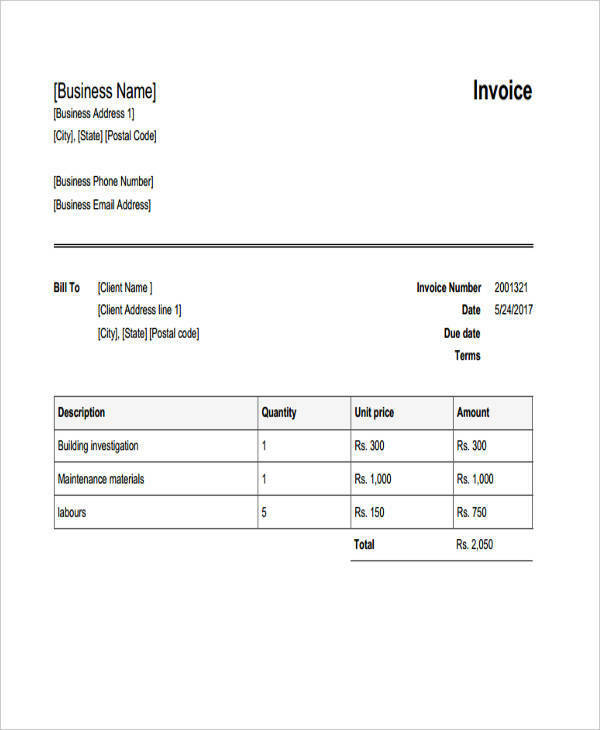 An invoice lists the items being sold together with the total price to pay and the payment terms. A purchase order also states the goods ordered. There are, however, differences between the two. As a purchase order is used to request for goods, it is prepared by the buyer. 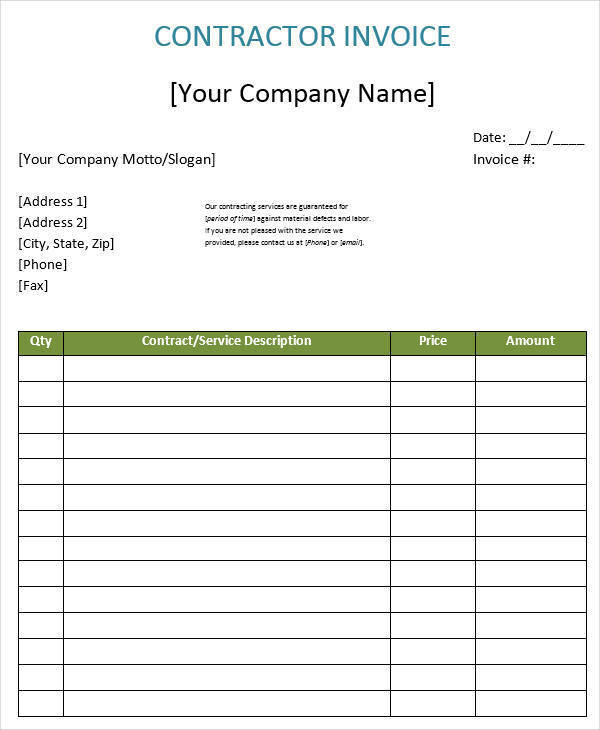 The invoice is prepared by the seller after the goods are delivered as a request for payment. A purchase order is issued by the buyer at the start of the transaction while an invoice is issued after delivery. 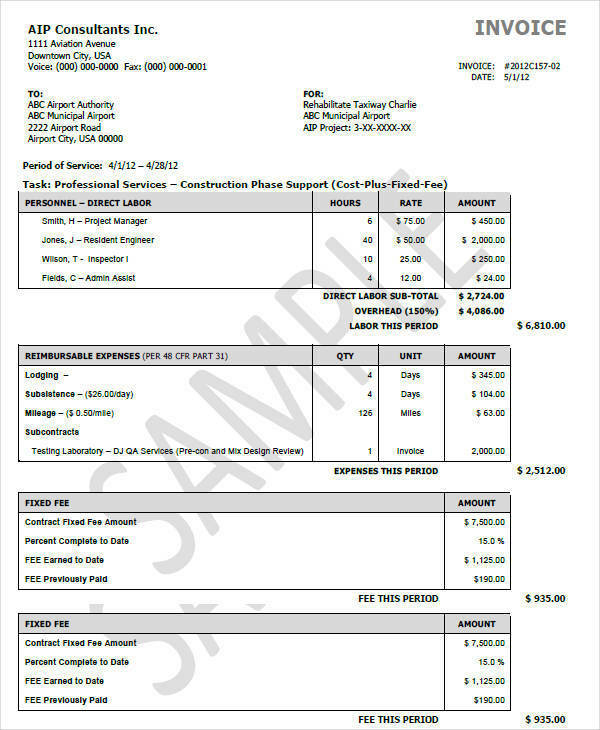 For your construction services, these contractor invoice would be helpful. Where Is the Invoice Used for? Function-wise, an invoice is used as an official request for payment for goods delivered or services rendered to customers. 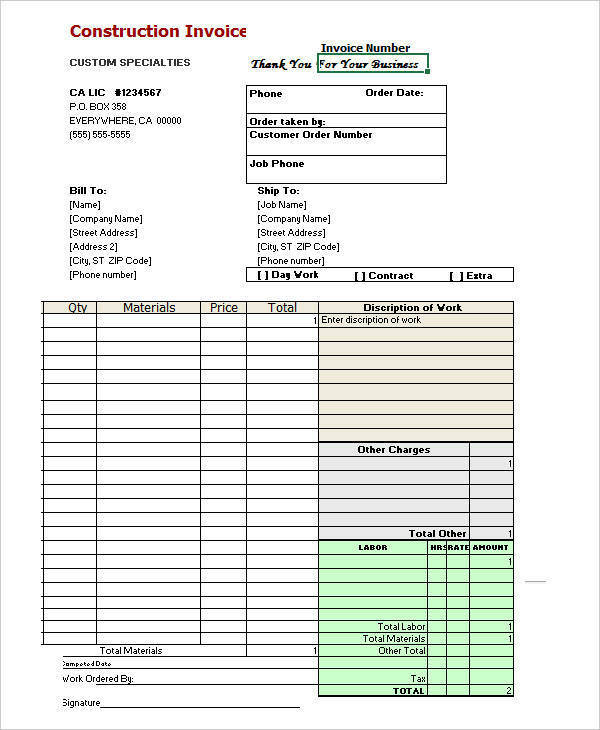 Invoices, then, are used mainly by businesses. They are issued by businesses whenever they make transactions with their clients. Invoices are important tools in keeping the business finances stable. When you send them to customers, they are reminded of their payment obligations. This is especially important for service-oriented businesses where payment is usually done after the project is completed. 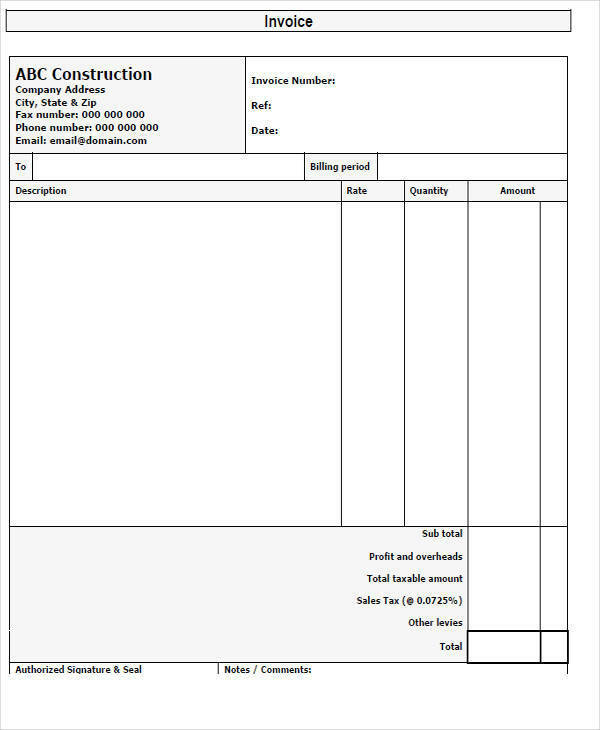 These construction invoice are perfect for businesses providing construction services. 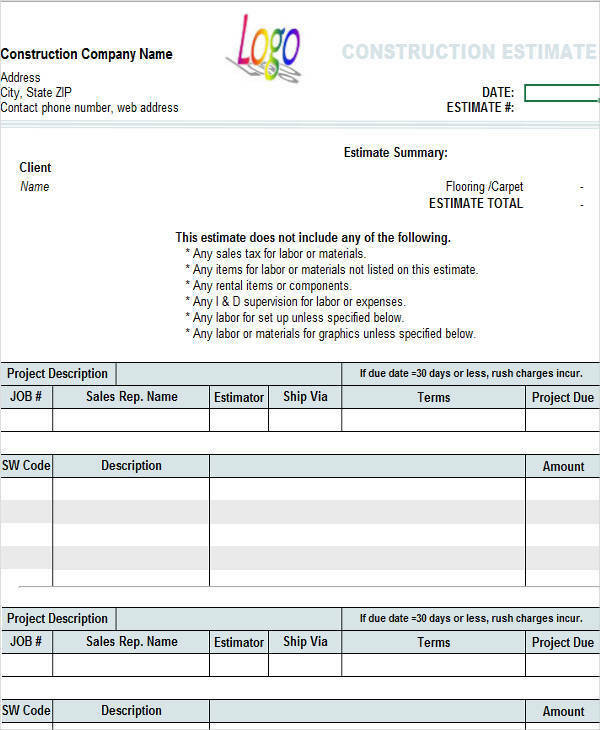 A construction invoice needs to contain full details of the services that they have done and/or the materials used in the construction process. As free invoices are also good record-keeping tools, referring back to it easy when the details are clearly written on the invoice. Here are some advantages of using an invoice for your construction business. They encourage prompt payment. When clients are reminded of the payment obligation to you, they are encouraged to pay you on time or even earlier. They provide all the necessary details. There is often a description of the services or products on the invoice. 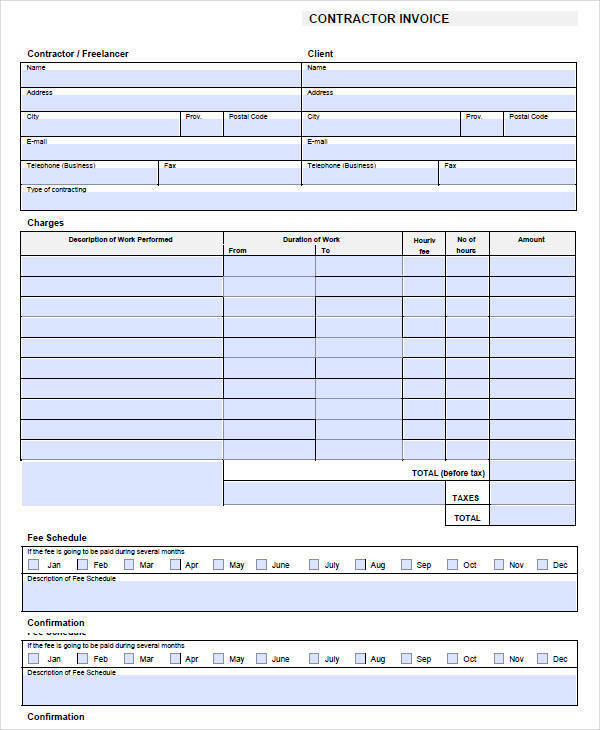 If filling this out was carefully observed, clients can’t contend that you are billing them wrong. They aid in making financial reports. These reports provide basis for important business decisions. 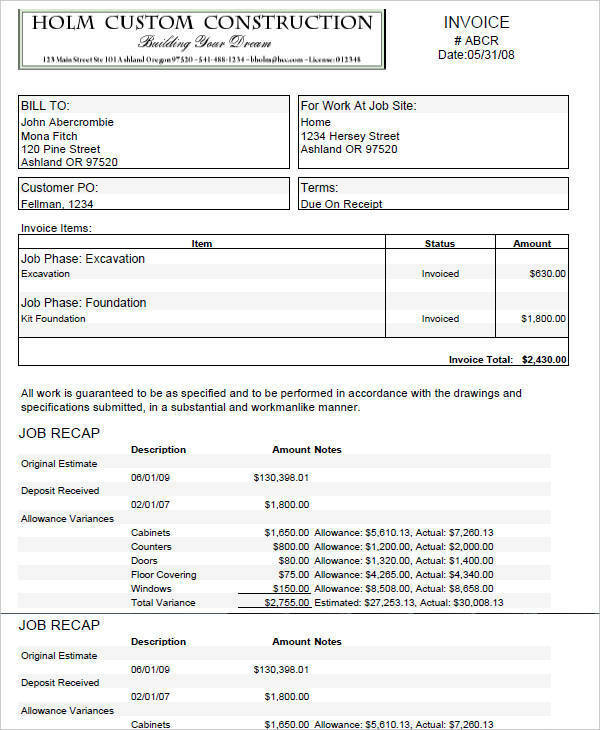 Construction invoices help provide the necessary details in making the reports. They protect you legally. When problems occur such as nonpayment, you have documented evidence that your clients owe you money. Construction companies need to use invoices to officially ask payment from their clients for services rendered. Construction invoices serve to protect both the construction company and the client. Check out the invoices above. These estimate invoice samples might prove useful also.